Although GDP, employment and average earnings are (rightly) key economic barometers, household incomes and inequalities are indispensable measures of living standards. Indeed, there has been increased recognition across the world of the need for economic statistics to give more emphasis to the distribution of growth as well as averages. Household survey data has proven invaluable for assessing the challenges facing the UK and for measuring the impact of policy changes. But the recognition of the importance of distribution; heightened concerns about inequality; and increased potential for big data and data sharing all give cause to think about whether the UK’s current data is as good as it can be. It is not. Worse, perhaps, two official sources have published quite different inequality figures. 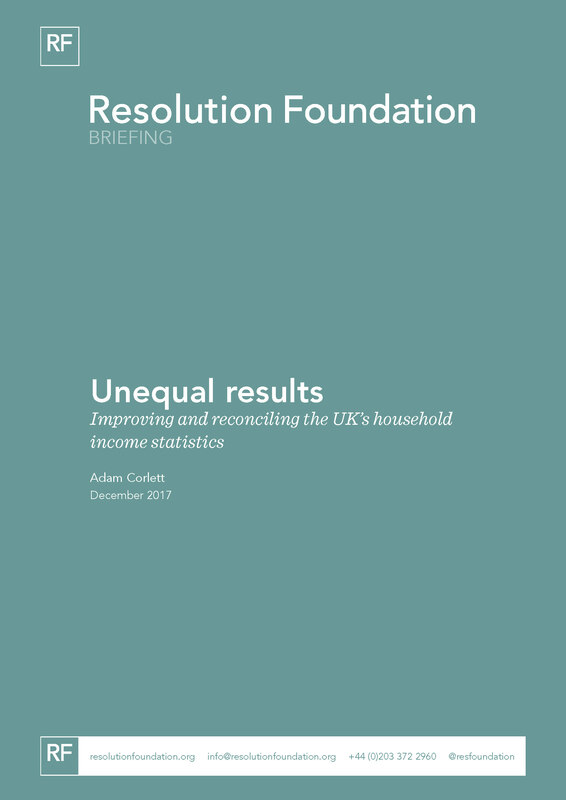 This briefing note explores why this is, some of the improvements already planned, and what else needs to be done to give the UK world-leading household finance data to continue to inform debate and public policy.